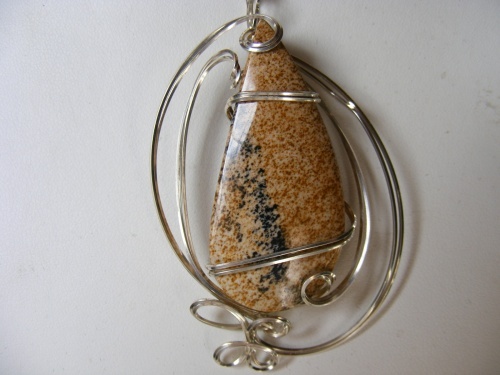 The jasper on this gemstone is really elegant and would go with any fall colors. Brown and some black make the stone really unique. Sculpted in argentium silver and comes with a sterling silver chain. Piece measures 2 1/2" from top to bottom.